FREE TEACHING SERMONETTES provide some teaching sermonettes or mini-sermons. 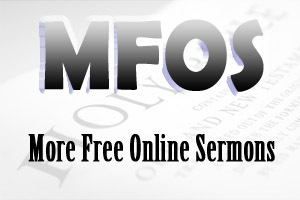 Free teaching sermonettes are sermonettes or mini-sermons that teach a truth or prinicple from the Scriptures. Teaching sermonettes may be used for short teaching segments in Christian schools or devotionals in youth groups or young adults groups. Shortly after the turn of the twentieth century, Japan invaded, conquered, and occupied Korea. Of all of their oppressors, Japan was the most brutal. In fact, one incident instilled a deep hatred for the Japanese. A church full of Christian worshippers were barricaded in and set alight. The strains of music and wails of children were lost in a roar of flame. Clearing the incinerated remains was the easy part. Erasing the hate would take decades. In 1972, a group of Japanese pastors traveling through Korea came upon a memorial of the incident. When they read the details of the tragedy, they were overcome with shame. Their country had sinned and they wanted to right a wrong. They raised $25000 and erected a beautiful white church building on the sight of the tragedy. When the dedication service for the new building was held, a delegation from Japan joined the relatives and special guests. Although their generosity was acknowledged and their attempts at making peace appreciated, the memories were still there. As the service closed, they concluded with the same two songs that were sung the day the church was burned. As they sang At the Cross, At the Cross, Where I first saw the light, and the burden of my heart rolled away, something remarkable happened. As the memories of the past mixed with the truth of the song, resistance started to melt. The Japanese turned to their Korean spiritual relatives and begged them to forgive, and the love of the Japanese believers tore at the heart of the Koreans. One Korean turned toward a Japanese brother. Then another! And then the floodgates holding back a wave of emotion let go. The Koreans met their new Japanese friends in the middle. They clung to each other and wept. Japanese tears of repentance and Korean tears of forgiveness intermingled to bathe the site of an old nightmare. A little white church in Korea had experienced the peace of Jesus Christ. You know, the church of Jesus Christ is a place where we can find peace with God and each other. After all, Christ broke down the hostile barriers that divide in order to bring people together. Could you forgive the man who murdered your father? It seems unthinkable, yet as Christians, we know that Christ commands—and promises to enable—us to do precisely that. “Love your enemies,” Jesus tells us; and to love another means to wish the very best for him or her. Forgiveness is one of the toughest aspects of Christian living; and fortunately for most of us, we are never put to such a terrible test of faith as loving one who has killed somebody dear to us. However, Ad Coors of Denver, Colorado, faced such a situation. On February 9, 1960, Ad Coors III was kidnapped and held for ransom. Seven months later, his body was found on a remote hillside—he had been shot to death. Ad Coors IV, then fifteen, had lost his best friend. In time, Joseph Corbett was apprehended, convicted and sentenced to life imprisonment. For years, Ad Coors harbored hatred for the man who had murdered his father. Then, in 1975, Ad became a Christian. It was at this time that he was challenged to forgive the person who took his father’s life. In his heart, he thought he had forgiven him. However, when he was asked to go to Joseph Corbett and tell him that he had forgiven him in person and ask for Joseph’s forgiveness for all those years of hatred, it was then that he realized the toughness of forgiveness. Ad said, “Hatred is like the barrel of a shotgun that’s plugged. Pretty soon it’s going to go off in your face. It hurts the hater more than the hated. It hurt me. It ate me alive, and it ate my family alive.” Forgiveness! Today, Ad Coors has a love for that man that only Jesus Christ could have put in his heart. “Forgive us our sins as we forgive others” (Matthew 6:12). Click here for more free teaching sermonettes.